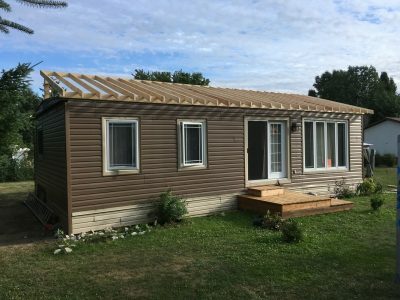 When your home has a flat roof with a walkout to a deck, it’s critical you feel confident finding a reputable company to replace your flat roof along with the customized decking and carpentry work underneath. It can be a daunting task so we make it simpler for you. We know you want to keep the cost of your flat roof replacement low while ensuring you get a great quality installation that will last so we will take the time to help you better understand what all your options are. 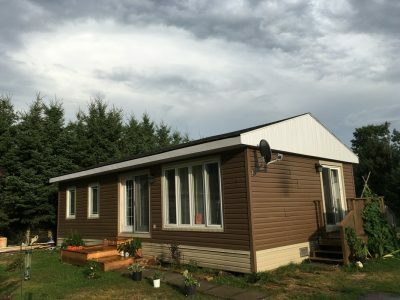 We can help you with all your choices and options including educating you on the different types of roofs, materials and options including custom carpentry work which would provide the strength and durability for your walkout deck on your flat roof. 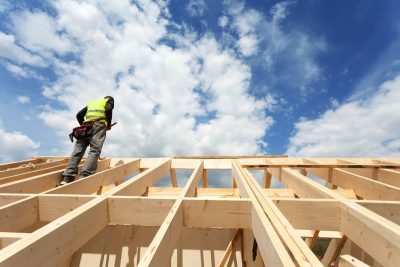 AZ Roofing has the highest standards in labour warranty to ensure your investment lasts. We only choose materials with long warranties and a history of customer satisfaction as we want to ensure our customers are happy with their roofs for a very long time. 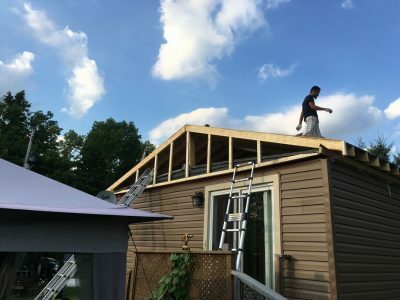 We are the experts in residential and commercial for repair, replacement, customized decking and carpentry work for roofs in GTA and surrounding areas. Ensuring the roof structure is structurally sound and without rot and mould. We always take into account heavy snowfall to ensure your roof structure can handle the extra load in extreme winters. Since your flat roof is a walkout deck, we taken into account the extra wear and tear expected with this type of use. With the AZ Roofing approach, we will give you the straight goods on whether you can repair your existing flat roof, or if you should replace it. Plus, we’ll let you know the best system for your roof which will meet your budget. 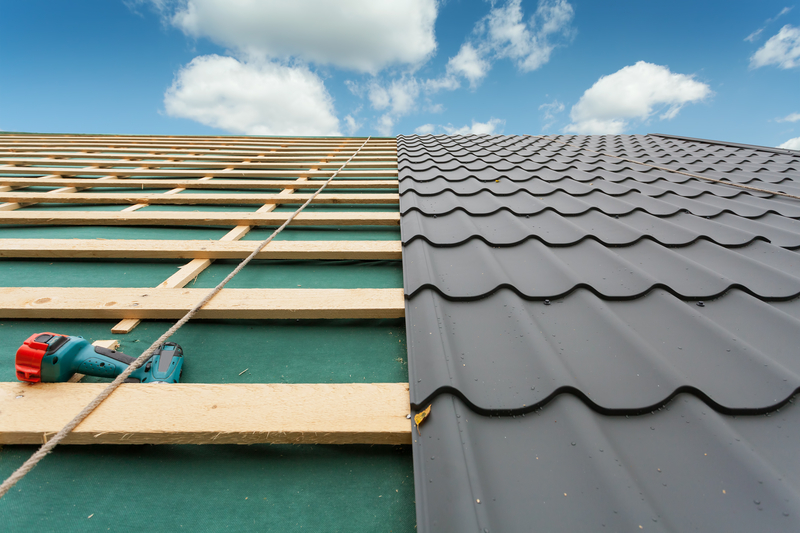 Determine what type of roof do you have? Sloped, or Flat, or a mix of both? Is your property residential or commericial? No worries. AZ Roofing can help you with any of those kinds of roofs and applications. If you have a flat roof, do you already have an idea of the type of materials you are interested in reviewing? Do you prefer tar and gravel, torch down, EPDM, PVC or TPO? Are you considering making changes to your walkout deck when you replace your flat roof? If you’re going to replace it, there is no better time to better understand your options than now.